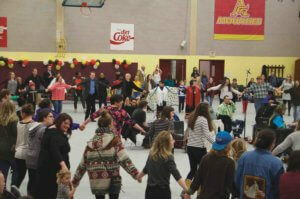 Mount Allison celebrated First Nations and Métis culture with the University’s first Powwow on Thursday, March 22. A Powwow is a gathering of Indigenous Peoples that celebrates cultures and honours traditions. The celebration includes traditional dancing, music and crafts and is open to everyone. The day began with the permanent raising of the Mi’kmaq flag beside the Canadian flag on campus. The Indigenous Student Support Group raised funds to pay for the flag and the second flagpole. Those who attended the flag raising then walked together to the Athletic Centre, where the grand entry was held. 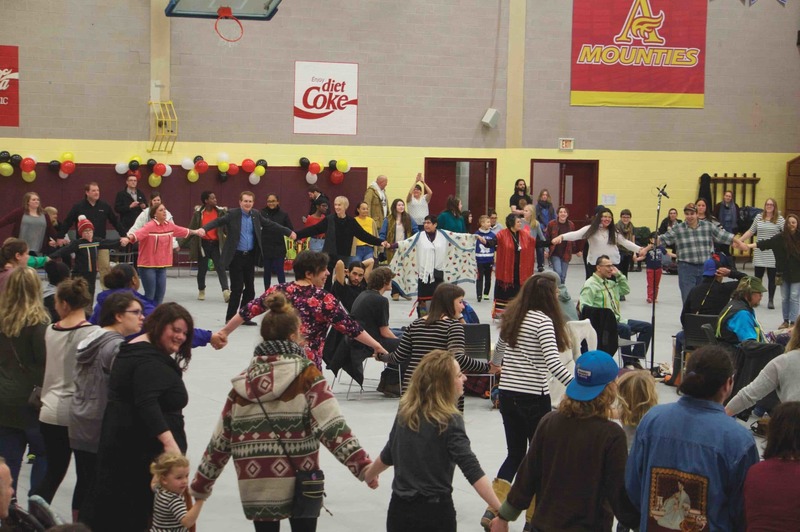 The Powwow’s head female dancer, Amanda Reid, and head male dancer, Dion Bernard, led all the dancers of the Powwow into the space where the celebrations were held. After the opening ceremonies, master of ceremonies Possesom Paul announced the many different dances that occurred throughout the day. These dances included the women’s dance, the men’s dance, the round dance, the candy dance for children and the inter-tribal dances. While there are no official plans in place, many members of the Indigenous Student Support Group are hoping for more Powwows in Mt. A’s future. “I’m sure that this group of students is going to make it happen again,” said Hassencahl. 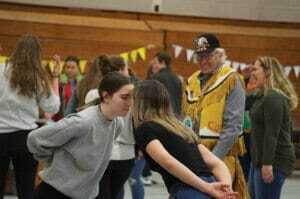 The Powwow was an important day for Indigenous students on campus. “[The Powwow] was really significant for the students who really deserve to have their culture appreciated. It made them feel very proud,” said Hassencahl.